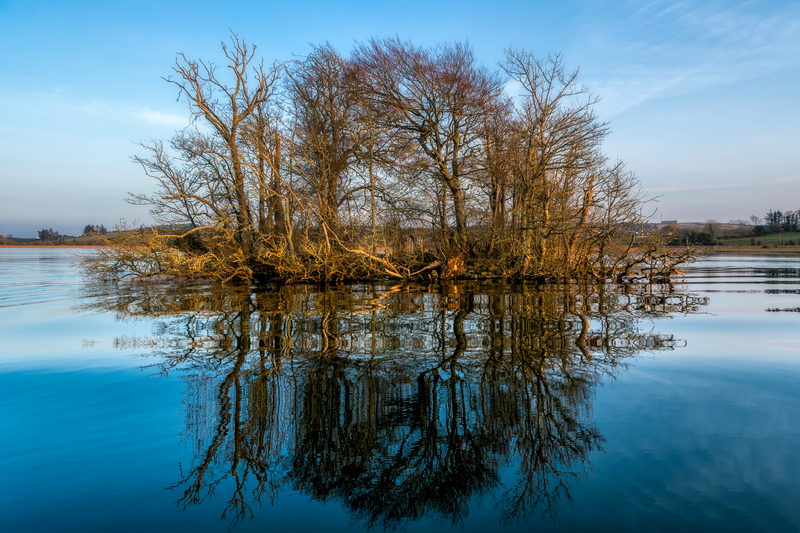 Lough Rea is fed by springs and a stream and has one of Ireland’s few inland freshwater Blue Flag beaches. Some people say that the old town of Loughrea can be seen under the lake on a ne day! There are a number of man-made island dwellings, or crannógs, on Lough Rea. Four of the islands were excavated in the 19th century and man-made structures, artefacts and animal remains were uncovered. The lake hosts nationally important numbers of Shoveler (ducks) and Coot each winter. Across the lake, in Earlspark, 2km southeast of Loughrea, are the remains of a 13th century deer park.